Dina Hutchinson pours a beer at the municipal Makefield Highlands Golf Club, one of only two places in Lower Makefield that sells alcohol, on Tuesday, Feb. 28, 2017. The wine and beer bar tucked into a back corner at McCaffrey's Food Market in Blue Bell, Montgomery County, is a sign of the times. Thanks to minor changes in Pennsylvania's liquor laws last year, the grocery store's patrons can now enjoy a variety of wines or one of the 12 beers available on tap. And for customers looking to pick up a six-pack, the selection includes nearly 400 brews. "It's just a convenience thing," said Jim McCaffrey IV, co-owner of the family-operated grocery chain. "You're a consumer like I'm a consumer. You don't want to go to more than one place for the things that you need." McCaffrey envisions a similar scene at his store in Lower Makefield. But his hopes hinge on repealing laws prohibiting retail sales of beer and liquor in the town, the only dry municipality in Bucks County. The town bordering the Delaware River is just one of several dozen dry towns in the Philadelphia region, where efforts to turn back those regulations can be a slow and arduous process. Take Swarthmore, Delaware County. The town remains dry, but it took a 15-year fight for Swarthmore College to build a campus inn that serves alcohol. Or consider Haddonfield, a Camden County borough that has been dry since the late 19th century. Though some restaurants can offer bottles of local wine, and a nanobrewery is coming, a referendum to repeal Haddonfield's dry status hasn't appeared on a ballot in decades. Lower Makefield Township is considered a dry town, but an exemption has allowed the Makefield Highlands Golf Club, a municipal course, to serve alcohol for many years. Southeastern Pennsylvania includes 36 dry municipalities. The vast majority — 23 — are in Chester County, but Delaware County boasts 12 of its own. Montgomery County and Philadelphia are completely wet. The three South Jersey counties closest to Philadelphia — Burlington, Camden and Gloucester — include another 11 dry municipalities. And several Jersey Shore towns also are dry. But the level of dryness varies from place to place. Some, like Lower Makefield, have granted exemptions to particular businesses. Yet, all of them prohibit the retail sale of beer and/or liquor to some extent, with some Pennsylvania towns even forbidding state stores and malt beverage distributors. And most of them have been that way since the years after Prohibition ended. Dry towns are a "relic of the post-Prohibition regulatory system" that returned liquor control back to state and local governments, said Tom Pegrem, a Loyola University professor who has studied American temperance and Prohibition, a constitutional ban on the production, import and sale of alcoholic beverages from 1920 to 1933 that was repealed by the 21st Amendment. Oftentimes, religious sentiments — typically Methodist — prompted municipalities to prohibit beer and liquor sales, Pegrem said. But other factors played out as well. "There were a number of dry New Jersey shore towns that provided alcohol-free amusements to Christian vacationers," Pegrem wrote in an email. "In other cases, desires to reduce bar traffic, noise and the small-scale violence and disruptions associated with public drinking produced dry regulations." Across the country, around 18 million Americans live in dry areas where liquor is completely prohibited. Huge swaths of Kentucky, Mississippi, Texas and Kansas are dry, with liquor sales outlawed in entire counties. Mississippi has areas where the possession and transport of alcohol remain forbidden. Only 32 of New Jersey's 565 municipalities don't allow the sale of hard liquor at bars and restaurants. That's vastly different than Pennsylvania, where 684 municipalities — more than 25 percent of the state's 2,561 municipalities — are at least partially dry. 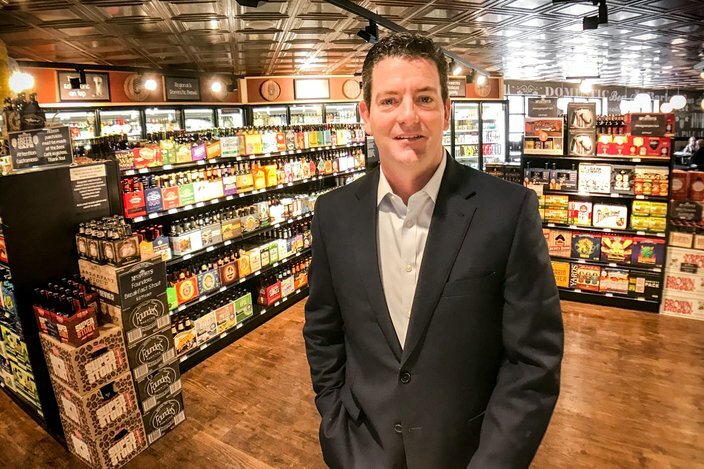 Jim McCaffrey IV, co-owner of McCaffrey's Food Markets, stands in the Beer Cafe at the chain's Blue Bell location. The grocer wants to be able to sell beer at its store in Lower Makefield, a dry town. Lower Makefield, which surrounds alcohol-friendly Yardley Borough on three sides, banned retail sales of both beer and liquor in 1949, though some exemptions have been carved out over the years. Its municipal golf course, Makefield Highlands, can serve alcohol. Shady Brook Farm has a license to sell its Rose Bank Wine and, thanks to changes in the state liquor law, it also offers some beers and spirits for on-site consumption. And state-operated liquor stores are permitted to operate in a pair of grocery stores, including McCaffrey's. 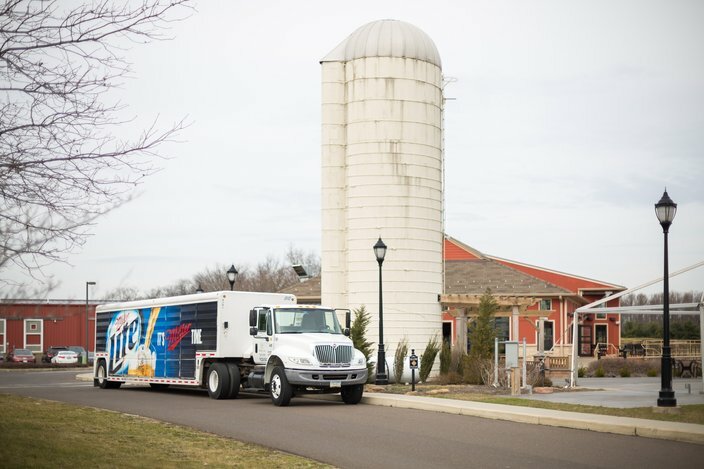 But a group of business owners, including McCaffrey and Dave Fleming Jr., general manager of Shady Brook Farm, formed the Lower Makefield Business Association to get a referendum placed on the ballot in November's general election, giving residents an opportunity to shed the township's dry status. "I got involved in supporting this initiative to level the playing field for our community," Fleming said in an email. "Having Makefield Highland golf course and Shady Brook Farm as the only places to get a beer in Lower Makefield is not fair and needs to be changed for both the business community and community at large." Two years ago, the LMBA failed to gain the signatures needed for a referendum, but the business owners believe most residents favor a repeal. With a more nuanced information campaign, they are confident they can obtain the 5,000-plus signatures required to get the referendum on the ballot. A local beer importer and distributor makes a delivery to the Makefield Highlands Golf Club, Tuesday, Feb. 28, 2017. The LMBA plans to increase their door-to-door efforts, where they can respond to residents' concerns, and conduct automated calls. Members also will collect signatures at several businesses, as they did during their last referendum push. Plus, Act 39 — a new liquor law passed last summer — now permits referendums regarding dry regulations to be placed on general election ballots. Previously, such referendums could only be placed on primary election ballots during odd-numbered years. That could benefit the LMBA, which previously was forced to collect signatures during the wintertime. Now, their signature drives will be held in the warmer months prior to the general election. "All of that effort is really just to get it on the ballot to let the voters tell us whether they really want it or not," McCaffrey said. "We could do all this work and get it on the ballot and it could wind up that the township residents just don't want this. And that's OK."
If township residents eventually opt to repeal Lower Makefield's dry laws, don't expect the beer to flow freely overnight. 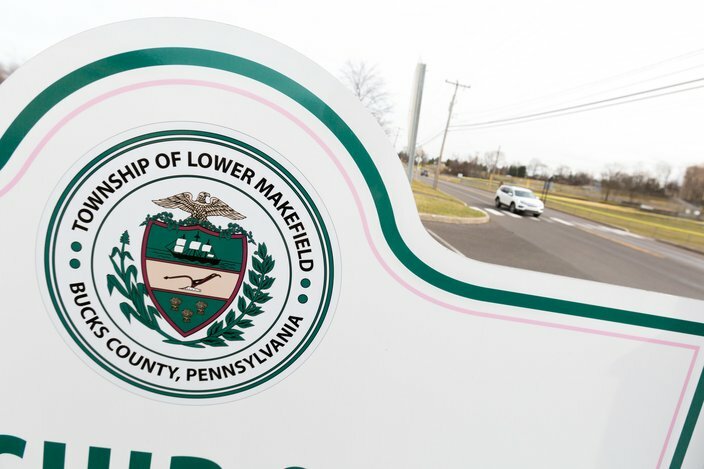 The township's population — 32,559 at the 2010 census — permits Lower Makefield to have up to 11 licenses. But because Bucks County has exceeded its per-county quota, business owners will be forced to purchase and transfer an existing license. On the secondary market, licenses can hit six figures. Under Act 39, business owners also could purchase a "zombie license" — those that are expired, revoked or otherwise no longer active — at an auction conducted by the Pennsylvania Liquor Control Board. It took McCaffrey months to get a liquor license in Montgomery County, where the process is a lot easier. "Licenses are not cheap," he said, as he stood in his Blue Bell store. "It's not like everyone is going to go out and grab a license tomorrow. It's a process. We knew we wanted one here. This town is not dry. The road was paved for us to do it and it still took 6-8 months for us to get a license here." 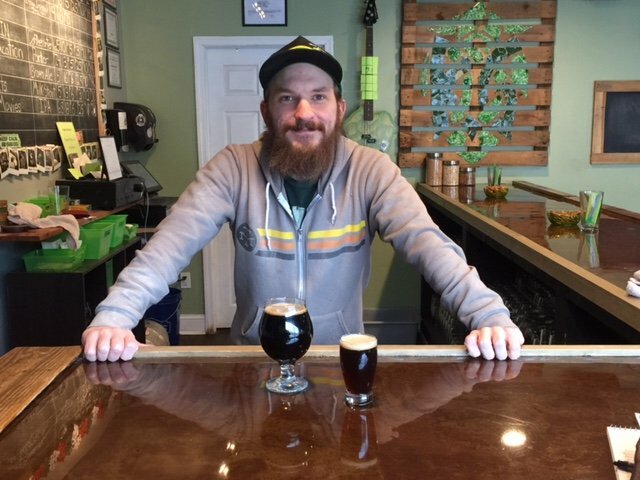 Brewer and barman Jack Brady of Kelly Green Brewing Co. in Pitman welcomes adding a bar or restaurant to the small historically-dry borough in Gloucester County. Municipal government has yet to detail its plans or sell the license. Meanwhile, the town of 9,000 has two recently-opened microbreweries, which are regulated by New Jersey, not by the local government. A similar process is playing out in Pitman, a tiny borough in Gloucester County. Change comes slowly there, especially when it comes to having a drink. The town has been dry since its founding in 1871, just a little less dry in recent years, though it still isn’t exactly wet — yet. You might say Pitman is damp – for now. You can, for instance, have a beer in one of two Pitman microbreweries, Kelly Green and Human Village, both open just since last year. You can also buy a bottle of wine from a nearby vineyard in several places, as has been the case for several years. You can also buy a cocktail in a place with a Pitman address – Carolina Blue – though it is actually in Mantua Township. And while Pitman approved selling a liquor license last November, it has yet to take steps to move forward. That would require passing a resolution, setting an acceptable zoning location, designating seating capacity, establishing any restrictions, then certifying potential bidders and setting a minimum bid price. “This will be a lengthy process for the borough as we want to be sure that everything is done correctly and with the best interests of the residents in mind,” Pitman clerk/administrator Judith O’Donnell explained recently. Bartender Jim Fowles of Carolina Blue isn’t expecting much of a change when Pitman finally gets around to granting its liquor license. He claimed a license would make sense for just two existing restaurants on Pitman’s main street, Broadway. But there is also a vacant property which could work, he said. All of the locations are on the small side with limited parking, which would restrict the number of patrons that could be accommodated, he said. “It wouldn’t bother us at all,” he said recently. Denise Fanelli, a Pitman resident who had voted against the measure, was at Carolina Blue with fellow teachers – having drinks and appetizers when PhillyVoice dropped by last month. “There’s been no talk about it. I’d really forgotten all about it," she said. "I have mixed feelings. I like bringing my own bottle” to a restaurant. Jack Brady, a brewer and barman at Kelly Green Brewing Co., welcomes another place with a liquor license to draw more people to visit the town of about 9,000, not far from Rowan University. George Dale, who lives a block beyond Pitman’s border, said the brewpubs have re-energized the downtown and he thinks a place with a full liquor license would add to the borough’s "artsy vibe." 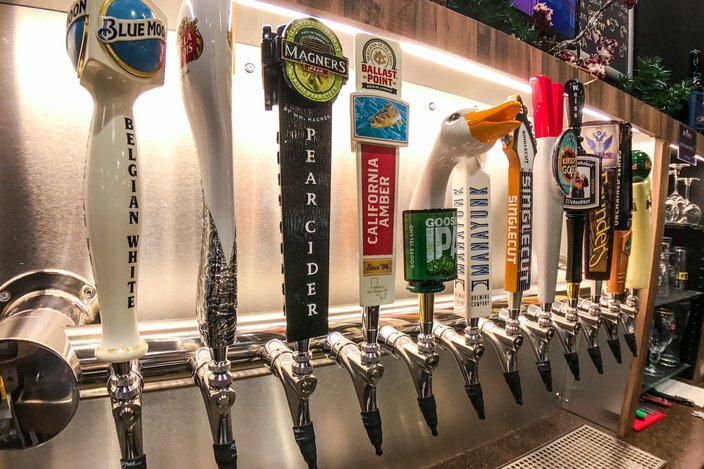 In addition to the eight wines available, there are 12 beers on tap at the Beer Cafe inside McCaffrey's grocery store in Blue Bell, Montgomery County. Under New Jersey liquor laws, a municipality can issue one retail consumption liquor license — a bar or a restaurant — for every 3,000 residents. It can also offer one license for off-premises liquor sales for every 7,500 residents. A town can choose to issue fewer licenses — but towns cannot issue more. Garden State liquor laws were adjusted in 1947, so some towns exceed the limit with grandfathered license-holders. For most of the state’s dry towns, such as Haddonfield, it is a lingering attachment to the temperance movement. Haddonfield has been dry since 1873, according to town history records, though it has just approved a nanobrewery likely to open in the fall. Or it is because of the municipality’s religious history, as with Pitman and Ocean City in Cape May County, both with roots as Methodist camp meeting spots. 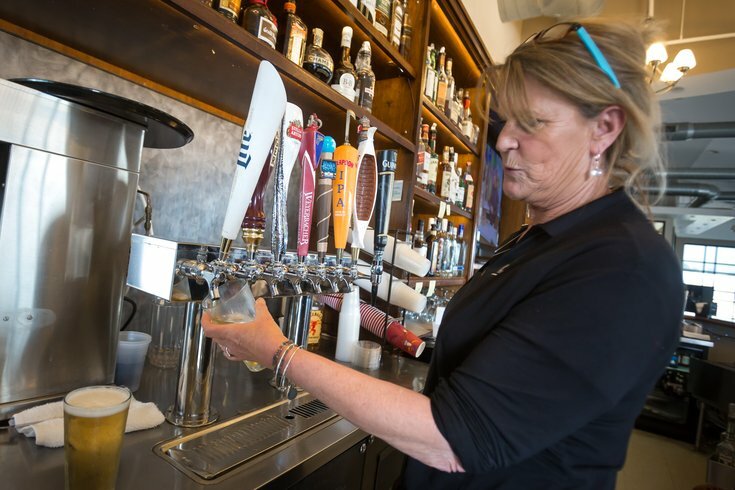 But for some, especially in rural parts of South Jersey's Salem County, there are simply not enough residents to support a bar or a restaurant. And, thus, they remain dry.